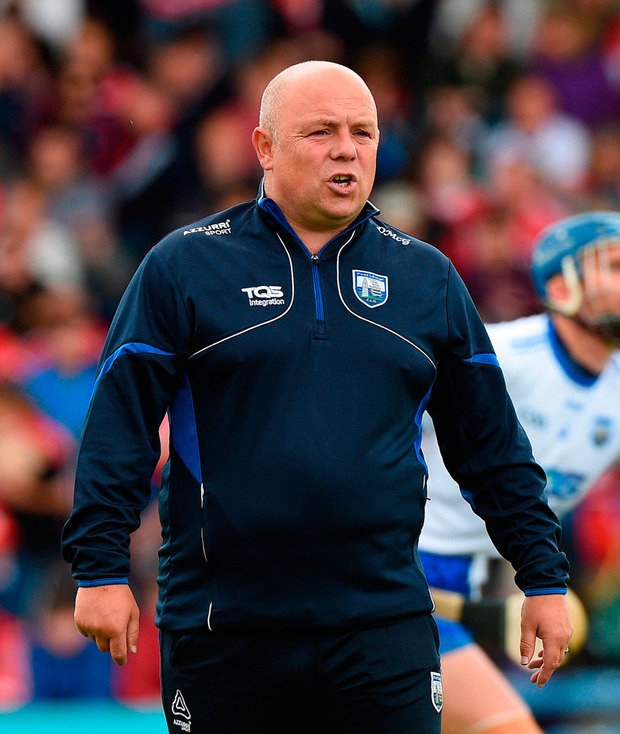 Derek McGrath's decided to step away from the Déise hot-seat after five years - and he's made the right call for himself and for Waterford hurling. If you're involved for that length of time with any organisation or team, it's a long haul. While the players wanted Derek to extend his tenure into a sixth year, he indicated that just 15 per cent of him was leaning towards giving it another go. That's in stark contrast to last September, when it was probably 85 per cent in favour of staying. I would have thought that the Monday night homecoming after last year's All-Ireland final was the perfect time to say goodbye but one of Derek's biggest traits, like any great sportsman, is overcoming the fear of failure. In his mind, the easy option would have been to quit following such a courageous campaign. He said to himself that we were only a puck of a ball or two away from getting over the line - and that's why everything was geared towards one more big summer push, to reach Croke Park again, number one, and two, to get back to the final. But he always warned how much of a journey it would be to even get back there, never mind win the All-Ireland. And now we're seeing how difficult it is - and how big an achievement it was to get us there and come within such a small margin of champions Galway. So, what went wrong in 2018? The first major setback was the loss of who I regard as possibly Waterford's best forward - Shane Bennett. Shane told the management that he didn't want to commit this year but he was central to the Waterford system, given the role he played. Finding a replacement of his calibre was always going to be difficult. Go back to last year's All-Ireland final and I always wonder if Shane had stayed on the field, would the result have been different? Shane was on hurley duty with the U-21s during the week against Cork and that suggests to me that, behind the scenes, something was not quite right. Waterford were playing catch-up from the off after a team holiday but Derek might wonder if he should have placed more emphasis on the National League. Losing Kieran Bennett, with his announcement that he was going travelling, was another blow, before the pre-championship injury problems. Austin Gleeson's injury was more severe, as Pauric Mahony could still do the fitness work leading into the championship, but not having both for the Clare game was a major blow. After a great start in that game, Derek's luck took a nosedive. Tadhg de Búrca, Darragh Fives, Noel Connors and Barry Coughlan were injured against Clare and Kevin Moran picked up a red card. There was that 'ghost goal' against Tipperary, too, and a heavy defeat to Limerick. Derek's resignation, then, comes as no surprise. The big question now is who takes over? Five years ago, Derek was one of only two people in the mix. This time, I think there will be many more interested parties. There will be local men who'll want the job but these are big boots to fill. There are candidates too from outside the county but I was disappointed to see Anthony Daly rule himself out of the running. The Anthony Daly-Tommy Dunne combination, with two Waterford men, would have been a fantastic package. I was pleased to hear, however, that the county board won't rush into this decision. It's still very hard to see them going outside of the county, considering that so much of the financial emphasis will be geared towards ensuring that Walsh Park is brought up to scratch. The appointment is most likely to come from inside the county then. I believe that the current players love my former team-mate Dan Shanahan and want him to stay involved in some capacity. But I'm not sure if that would be a wise move. Dan is a fantastic coach and with that obvious emotional attachment to the group but maybe it's time for a clean slate. But we've seen with Michael Ryan in Tipperary in 2016 how continuity can sometimes be a good thing. What will be difficult for any new manager is the inevitable comparisons with Derek McGrath in the eyes of the players. It should be said too, though, that while the majority of the players will be disappointed to see Derek go, others will view a new voice and a new direction as the chance to reinvent themselves. Stephen Bennett and Patrick Curran are two players who spring to mind, two young men who've yet to flourish to a standard they're capable of. Colin Dunford's another. So, a new voice could be just what's required, while other mainstays of the team may now be looking over their shoulders. The new manager will also have to bring new faces to the panel. After three or four years, some guys haven't put their hands up, and it's time to move them on. There also has to be a realisation in the county that the new man can set his team up however he sees fit, to get results and win matches. The game is evolving and every day brings different challenges and scenarios. What makes me laugh in Waterford is that some guys giving out about sweepers and how managers set up is contradictory to how their own club teams do it. And the new man can't be reminded of how Waterford teams played 15 or 20 years ago, when he picks his team. There's a school of thought that Derek's successor might adopt a hard-line approach and go the opposite way, keeping players at arm's length and ruling with an iron fist. We parted ways with Justin McCarthy in 2008, a man we had a huge emotional attachment to. But after seven years, lads started to tune out and the voice we used to love hearing over and over again lost its impact. The message and fine detail he delivered was falling on some deaf ears. It happens and while Derek loved the players, and vice versa, you can be sure that something similar was happening. You'd never previously have heard information from the camp but there were leaks this year. When Davy Fitzgerald succeeded Justin in 2008, we all rowed in behind him, even though there was still that emotional attachment to Justin. And while Davy was the polar opposite of Justin in how he went about things, he brought a different approach and freshness to the set-up. We were excited and it re-energised our panel. I played some of my best hurling under Davy. He ruled with that iron fist and it was just what we needed after seven years of Justin. Maybe someone in a similar mould is what these Waterford players need now.